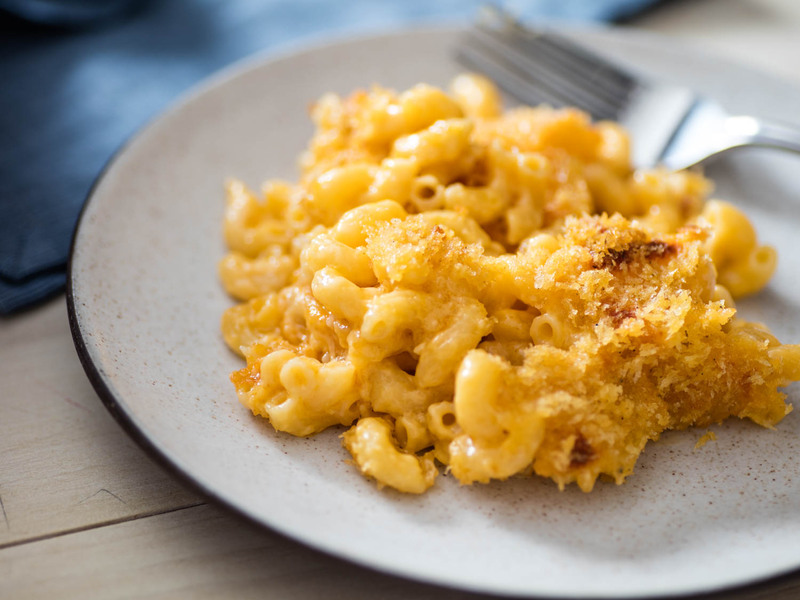 The Cheesiest, Creamiest, Dreamiest Mac & Cheese Ever! It’s a mouthful 😉 The Ultimate comfort-food at it’s best. It will melt in your mouth! Who doesn’t love Mac & Cheese… This is our Twintastico Twist on the classic Mac & Cheese. Its’ Creamy, it’s Dreamy and you guessed it, it’s Cheesy 😉 and it’s the best. What you want in your Mac & Cheese is perfectly cooked pasta, in a rich, velvety cheese sauce. With a light, crunchy topping that makes you want to go back for more. Preheat oven to 350F/180C. Butter the baking dish. Season with salt and pepper and add the mustard and mix well. Add a pinch of nutmeg and then start to add the cheeses in batches, whisking until each addition is completely melted before adding more. Remove from heat. Set a large pot of salted water over high heat to boil. Add the macaroni and cook until just al dente. Drain the macaroni and add to the pot with the cheese sauce and stir well to coat. Transfer macaroni mixture to a buttered baking dish. For the topping, sprinkle the breadcrumbs over the top, then the Parmigiano Reggiano generously and season with salt and pepper. Drizzle a little extra virgin olive oil over the top and bake in the oven until golden and bubbling, 15-20 minutes. Leave to cool 5 minutes before serving.